Although not a stone from this great foundation can be seen on the original site, fragments survive in cottages at the heart of the village. The Abbey Fishponds are the only remnants to survive in their original setting. The Abbey Heritage Trail takes you around the full precinct. A new archaeological trail was created in 2011. The village has two fields divided into 90 allotments. Eynsham Allotment Association leases them from the Parish Council and manages them on a day-to-day basis. 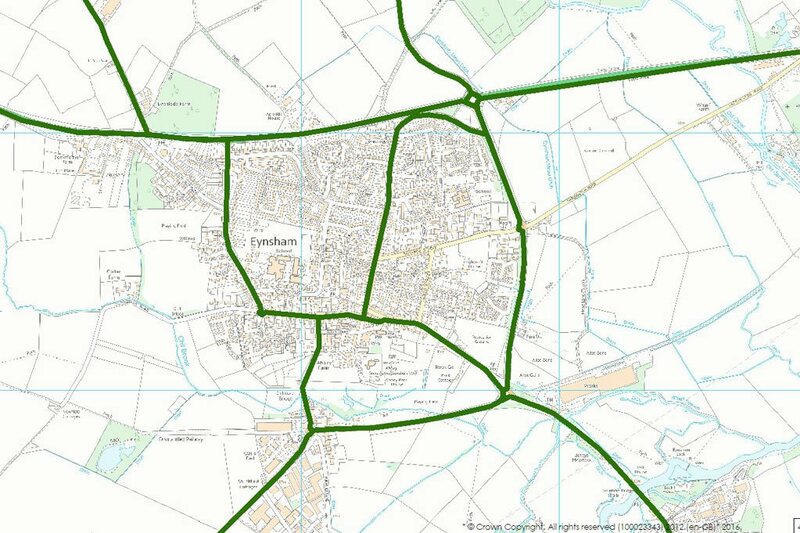 Eynsham Parish Council has signed up to the countywide broadband plan. Most houses in the village are also within a few meters of the Virgin Media cable network. Supplier comparisons: Simply Switch 08000 111395. Click here to view current bus timetables. First Saturday in July: a notable date in the village calendar. A flower festival is generally held on the same weekend in St Leonard's Church. Health Visitors offer a health promotion service Monday-Friday 09:00-16:00 at Long Hanborough or drop in clinics every Friday 13:30-15:00 at the Village Hall: call 01993 881887. Oxfordshire Family Information Service provides free information on childcare, family and parenting support. The Parish Council provides several bins around the village for dog waste. Responsible owners, please note! In the interests of public health, dogs are not allowed on the Oxford Road (north side) playing field. On the south field they should be kept under control at all times. Stray dogs should be reported to the District Council: 01993 861000 (out of hours 01513 432945). 2022 for the District Council and for your MP. More information from West Oxfordshire District Council: 01993 861410. For Priority Services call 0800 294 3259, text 0800 316 5457 or sign up online. Parish precept for 2017/18 is ££94,446. To register for Floodline Warnings Direct call 0345 988 1188. Click here for local contacts, maps and news. In case of leaks ring 0800 111 999. Bartholomew Educational Foundation makes grants to Eynsham students under 25 years old. 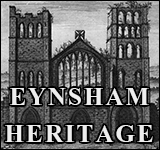 Eynsham Consolidated Charity makes grants to people living in Eynsham who are in need, hardship or distress. For either of these please contact Robin Mitchell, Clerk to the Trustees. All applications are treated in strict confidence. 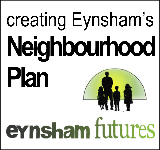 Eynsham Parish Council makes grants to community groups and other non-party-political organisations for projects that “are in the interests of, or will directly benefit, all or a reasonable portion of the parish and its inhabitants”. Please contact the Clerk for enquiries. The Rotary Club of Eynsham also welcomes applications from the community. Support can be provided in the form of a grant to an individual or a group, or in the form of hands-on help. The County Council is responsible for all grass verges in the village and contracts with the Parish Council to cut them. 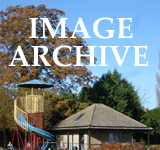 Eynsham Parish Council also maintains the 3 play areas and the open spaces in Dovehouse Close. Playing Field pitches are cut during the playing seasons by the Playing Fields Managers. The responsible authority for low-cost and social housing is the District Council. Contact West Oxfordshire Housing Services, Elmfield, New Yatt Road, Witney OX28 1PB: 01993 861010. Click here for other property to rent or buy. A place for recreation of many kinds - bird-watching, boating, camping, fishing, painting, picnics, walking - or even doing nothing. Dry access just past the toll bridge: sharp left and down the bank to Thames Path; no cars. Lock and weir keeper Nik Vallely: 01865 881324. Click here to view a map of main streets and public buildings. Another map shows approximate ages of housing stock in different areas. 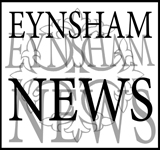 Eynsham News is a comprehensive, community publication - delivered free 6 times a year. Witney Gazette - published on Wednesdays: 01865 425262. Witney Road beside Oxford-bound bus stop. There is generous space for local organisations - no commercial advertising please. Notices should go up no more than 14 days before an event and come down no more than 7 days after. ‘Permanent’ notices should be no bigger than A5, to leave space for other users. Fly-posting can be reported to the District Council: 01993 861020. The Abbey Fishponds are the only remnants of this great foundation to survive in their original setting. They were created in 1217, by diverting the road and stream (and incidentally much enlarging the Abbey precinct). The Parish Council manages the area on behalf of Fields in Trust, to protect its past and enhance its biodiversity. Access from Station Road. Eynsham Wood to the north of the village was a Millennium project, supported by the Woodland Trust: 13 acres within the ancient Wychwood Forest - planted in December 2000 and maturing steadily. Access via crossing points on the A40 and from Freeland Road. The free car park in Back Lane, beside the Medical Centre, is just a short walk from the village centre along Conduit Lane (12 hour maximum stay). The central streets are narrow and readily congested; please observe the double yellow lines. The Market Square has just 6 parking spaces, including one for disabled drivers. Parking is unrestricted along most of Mill Street. The car parks beside the playing fields in Oxford Road close at dusk. The District Council handles rats, wasps etc at domestic and commercial premises and offers free phone advice: call 01993 861000. The Parish Council responds to large-scale proposals; individual applications are considered by the Planning Commitee. in the wall outside the Boot Inn at Barnard Gate. Food waste bins are emptied every week and provided free. Green waste and household rubbish are collected on alternate weeks. Contact West Oxfordshire District Council: 01993 861000 or sign up for free email alerts and Be in the Know. The District Council also provides recycling banks in Back Lane car park, for excess waste that will not fit in your recycling boxes. Please let them know if one is full. Any waste left lying round the bins is classed as fly-tipping and offenders will be prosecuted. The waste recycling centre at Dix Pit is open 08:00-17:00 all year (weekdays 08:00-10:00 / 15:00-17:00 are quietest); closes at 20:00 on Thursday April-September. Contact Oxfordshire County Council: 01865 816043. The highway authority is Oxfordshire County Council: 0345 310 1111. ALL non-emergency cases - including potholes, pavement defects - should now be reported online. A full list is maintained by Oxfordshire County Council. Social care for older people and adults with learning and physical disabilities or mental health problems is covered by Oxfordshire County Council: 0345 050 7666 / out of hours 0800 833408. This service includes mechanical sweeping of highways; litter picking to highway verges, etc; provision and servicing of litter bins and dog waste bins (part-funded by the Parish Council); removal of fly-posters and fly-tipping; and enforcement action. Contact West Oxfordshire District Council: 01993 861060. Call Oxfordshire County Council’s free 24 hour fault line 0800 317802 or report it online. Please give the location of the unit and its number if possible. The public toilet in Back Lane car park is open summer and winter 07:30-17:00. Contact District Council agent Healthmatic Ltd: 01249 822063 / 01249 822143 (answerphone). Historic and beautiful structure linking Eynsham to Oxford via Swinford, Farmoor and Botley. Charge: 5p for cars (currently the lowest toll in England); charity collection on public holidays. Allow extra time for your journey in the morning and evening rush hour/s. Oxford station: Park End Street, Oxford OX1 1HS (6 miles) serves Bristol, Edinburgh via Birmingham and London via Reading. Train operators: FGR and Cross Country. Timetables (all services) National Rail Enquiries: 03457 48 49 50. Traveline integrated bus/rail Journey Planner: 0871 200 22 33. Calls on BT residential lines cost 12p per minute plus connection. 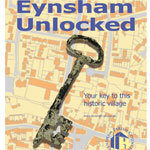 Eynsham Unlocked, a short tour of the village centre, highlighting historic features and other points of interest. Published by the Parish Council and widely available. 3rd edition 2013, free. Eynsham Abbey Heritage Trail, created in 2002 to mark the bounds of the former precinct, with carved stone from the abbey built into the engraved 'stations'. Available in St Peter's church or the library, free. 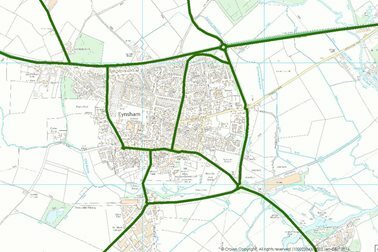 Oxfordshire Village Circular Walks - Eynsham. Three walks, 4-8 miles long, taking in Church Hanborough, Eynsham lock, Freeland, Pinkhill lock, South Leigh, Swinford toll bridge, the Thames Path and Wytham Wood. Household collection: alternate weeks; bulky household waste on application. Contact West Oxfordshire District Council: 01993 861020. For all other enquiries and emergencies: 0800 316 9800.